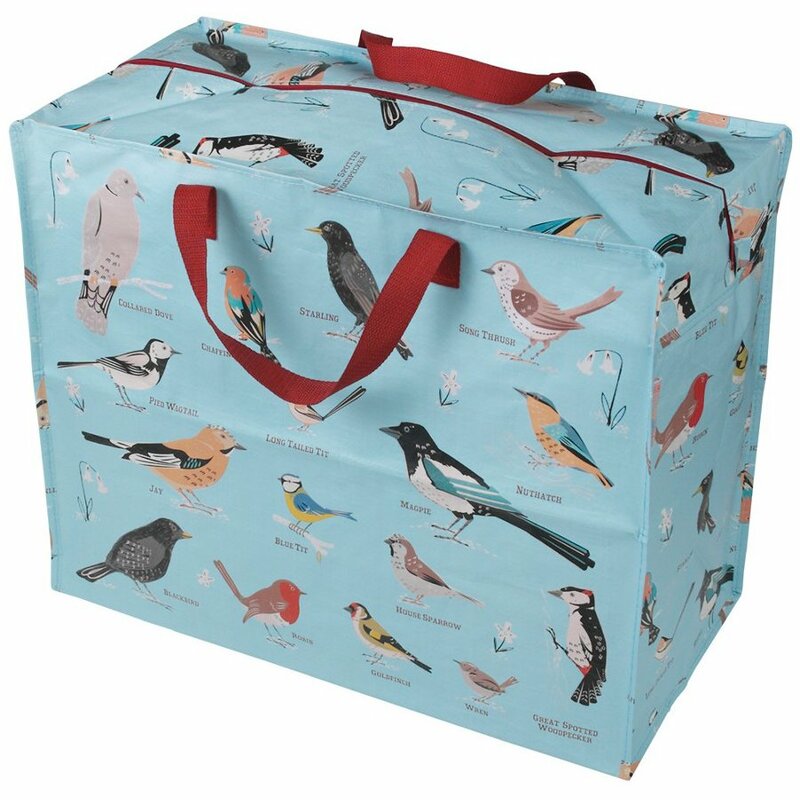 Our striking Garden Birds design jumbo storage bag is made from recycled plastic bottles. They are wonderful for storing toys, laundry, bedding and clothes, or even for use as a boot-tidy. It has a metal zip and the handles are woven nylon. Dimensions: Length: 55 cm, Width: 28 cm, Height: 48 cm. 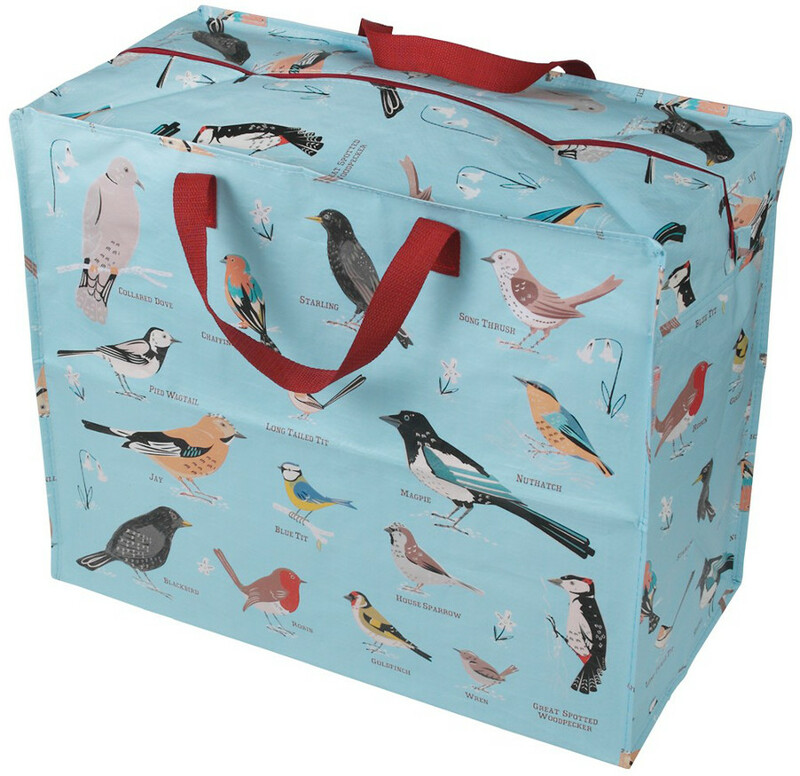 The Recycled Jumbo Storage Bag Garden Birds product ethics are indicated below. To learn more about these product ethics and to see related products, follow the links below. Great print and love that it is recycled. We have too much stuff but it is easier to store in such beautiful bags. 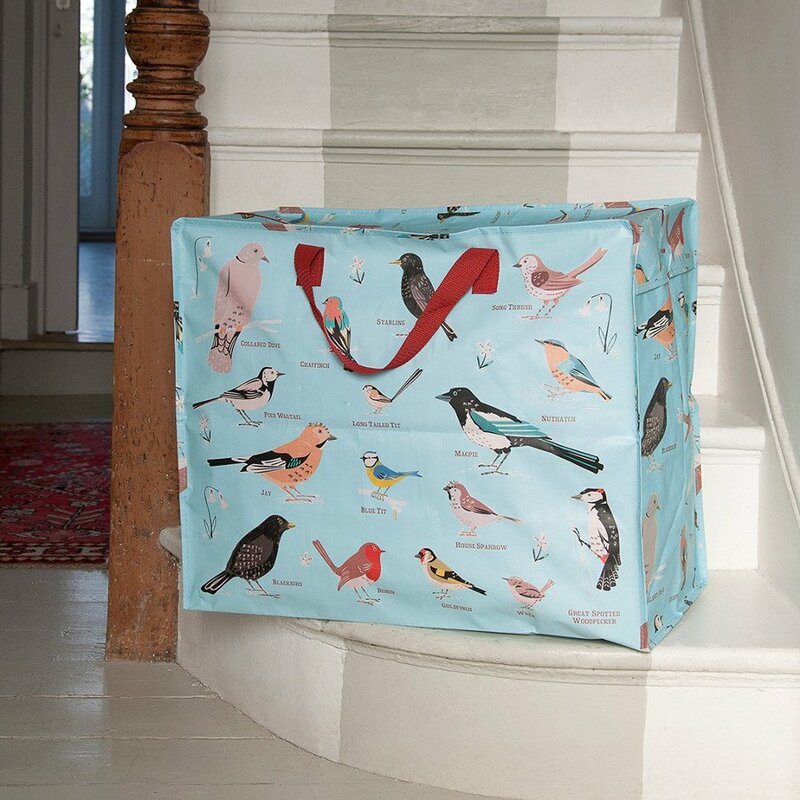 Great for storage of all sorts of things, especially bedding and soft furnishings. Wouldn't like to put very heavy or bulky items in the bag in case they punctured it. However, being made from recycled materials they are kinder to the environment than many similar products, attractive to look at and the zip closure will keep out the moths.. There are currently no questions to display about Recycled Jumbo Storage Bag Garden Birds.